The morning sun shows Danzdanzdance in good light ahead her date with Winx at Randwick tomorrow. Winx has undisputed top billing on Day 2 of The Championships tomorrow, but the vibes around the Kiwi contingent stabled at Randwick suggest celebrations from this side of the Tasman won’t be only about the mighty mare. The satisfaction of Cambridge training duo Roger James and Robert Wellwood after Rondinella had got through her final piece of work suggested quiet confidence in their Sydney Cup prospects. Immediately after the Ocean Park mare had finished third in the Tancred Stakes, James had been in two minds about the merits of Rondinella taking her place in tomorrow’s two-miler. This morning, however, he conceded that he’s completely happy with her condition ahead of the A$2 million race, for which her $18 quote at withdrawal time has come into $12. “She might be six months away from being fully mature, but she’s done very well since the Tancred and I believe she’s ready to go a big race,” James told www.theinformant.co.nz. “Our jockey (Sam Clipperton) went into the Tancred in a very positive frame of mind and if anything that has only increased. Matamata trainer Lance O’Sullivan also reports that Sir Charles Road is in good order for his second Sydney Cup attempt, having finished third last year. Tomorrow’s headline race, the A$4 million Queen Elizabeth Stakes, is all about Winx, who is quoted at a microscopic $1.06 to bow out with a 33rd straight win. Support roles in what promises to be true racing theatre in front of a sellout crowd of more than 40,000 may well be played by last-start Ranvet Stakes placegetters He’s Eminent and Danzdanzdance. 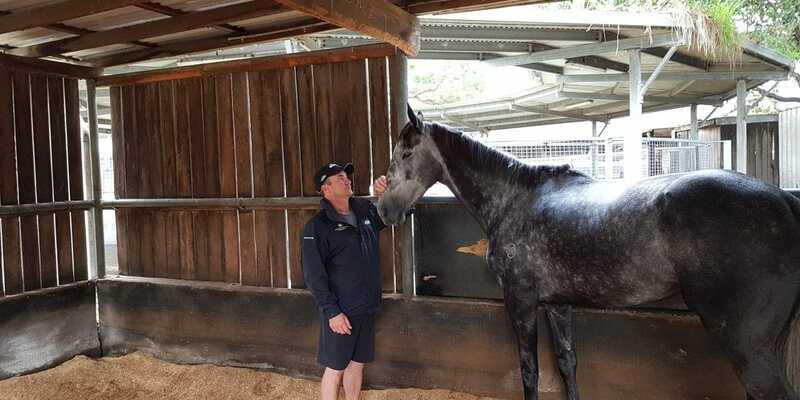 The latter has pleased connections in the lead-up to her first meeting with Winx, and while co-trainer Chris Gibbs anticipates coming off second best, he’s optimistic she can claim some of the still substantial minor stake. “She’s really thrived since the Ranvet and we’re very happy with her,” Gibbs said. “The midfield draw (5) is ideal; from there Opie should be able to position her where he wants. “Let’s face facts though, Winx will again be virtually impossible to beat. Bowman would have rubbed his hands when she drew the outside gate – that way he can ride her like she’s the best horse in the field and keep her out of trouble. Avantage, who won her Sydney debut three weeks ago, has also been stabled at Randwick, although this morning she did her final work elsewhere. Avantage lines up tomorrow in the A$1 million Arrowfield Sprint and in early markets shares favouritism with the Les Bridge-trained Classique Legend. Perhaps the least regarded of the Kiwi contingent stabled at Randwick is Australian Oaks candidate Imelda Mary, but that doesn’t worry trainer and part-owner Wayne Hillis. Hillis is drawing on his experience with 2004 Australian Oaks placegetter Boulevardofdreams in assessing his chances in tomorrow’s A$1 million classic.